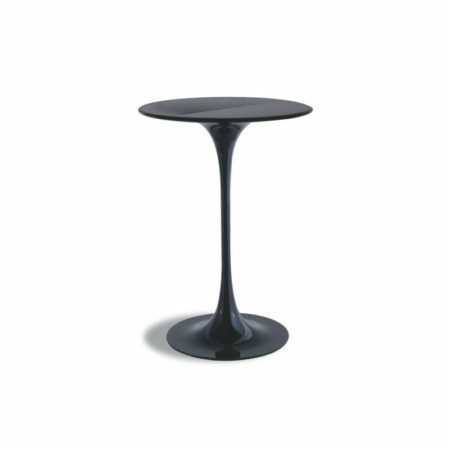 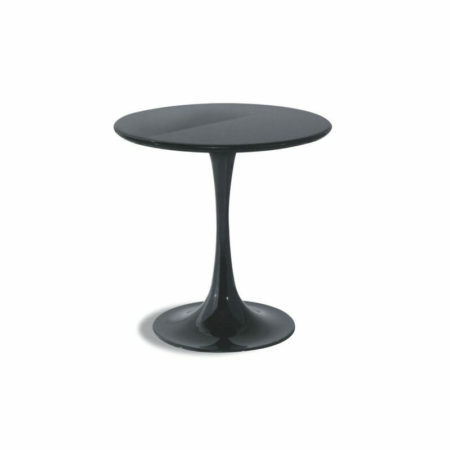 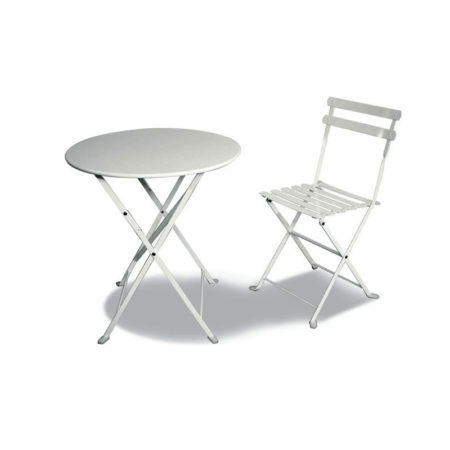 Ø 60 cm sheet steel base, thermosetting powder coated in matt white, glossy white, matt black or glossy black. 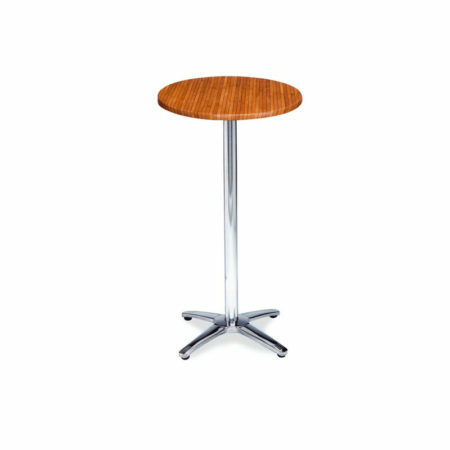 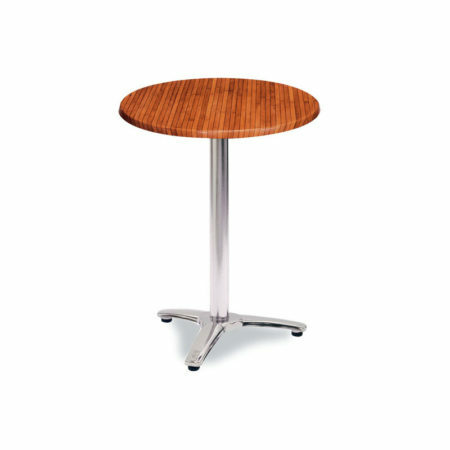 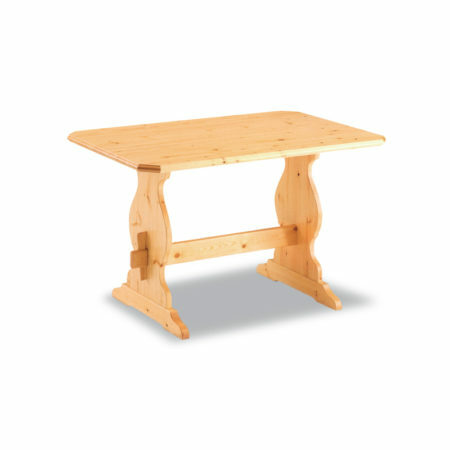 Table top on choice with maximum size Ø 80 cm. 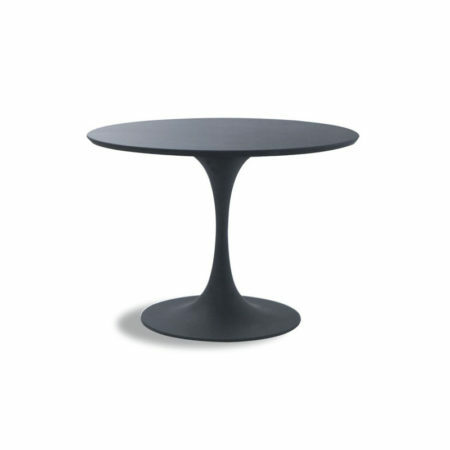 On request, Ø 70 cm sheet steel table top, thermosetting powder coated.